CP Phenolics is certified as official applicator of Heresite protective coatings. Therefore we are able to deliver a very high quality when it comes to the treatment with the baked phenol coatings of Heresite. 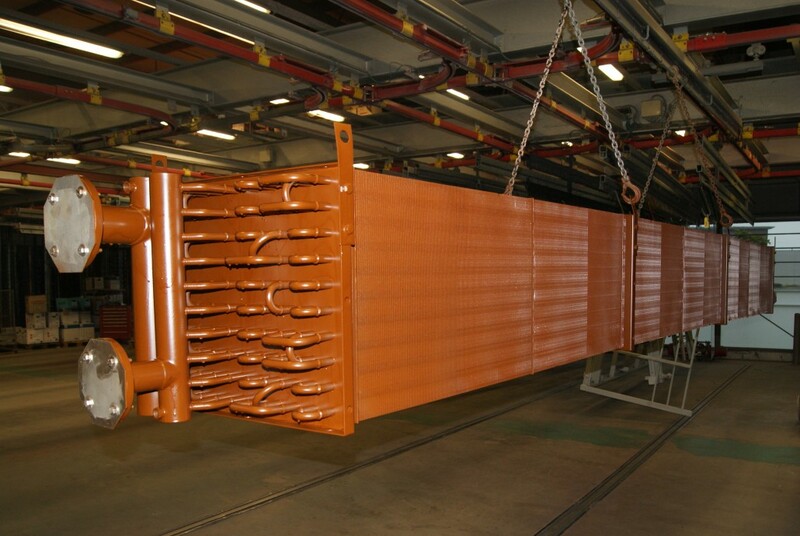 Heresite is manufactured and sold only by Heresite Protective Coatings and their licensed applicators. In addition to marine and salt air environments, the heat cured phenol coatings will withstand exposure to an extensive variety of corrosive and chemical fumes and condensate. 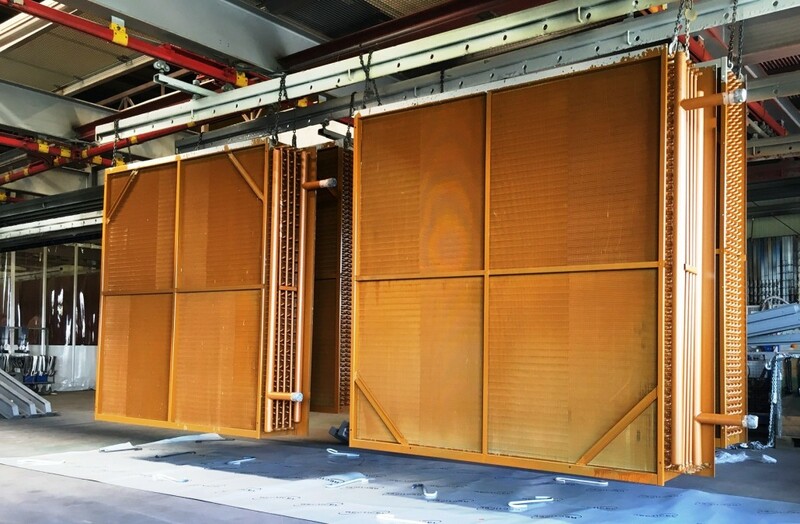 Because these products are efficient thermal conductors, applied at very thin films, HVAC-R and process equipment coil OEMs have indicated that no additional heating or cooling surface is required due to the presence of the modified baked phenolic coating of Heresite. 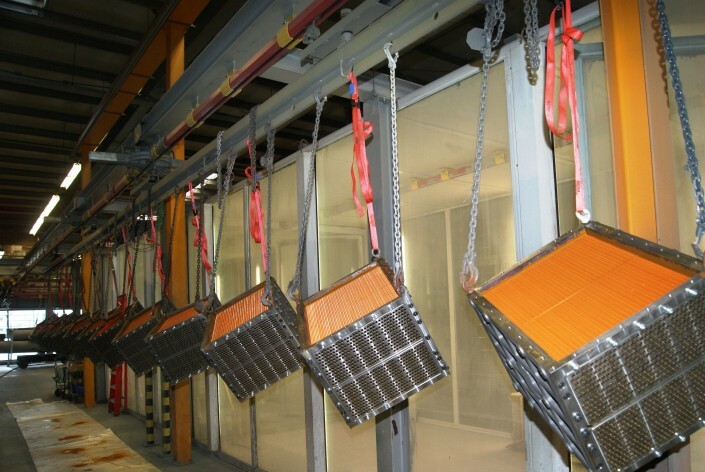 Through our specialized poring process, we are able to coat coolers with a very compact finned pack complete thoroughly and precisely. 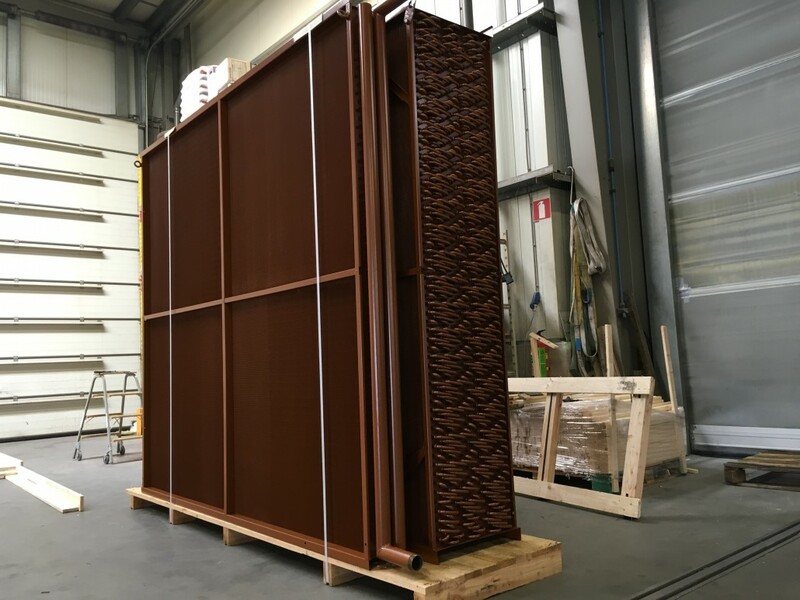 Each coat layer will be followed by a bake session in a polymerization oven until the desired layer thickness and protection has been achieved. During the last baking process there is a cross-linking at a molecular level being created of all the coat layers to one single homogeneous layer, and the coating will be burned into the metal. This creates the diffuse dense layer with a very high chemical resistance and abrasion resistance and works therefore as a life extended treatment. For more information and bennefits of a coated cooler, take a look at our Benefits page. © 2019 CP PHENOLICS B.V. - Powered by Fox on the Run B.V.